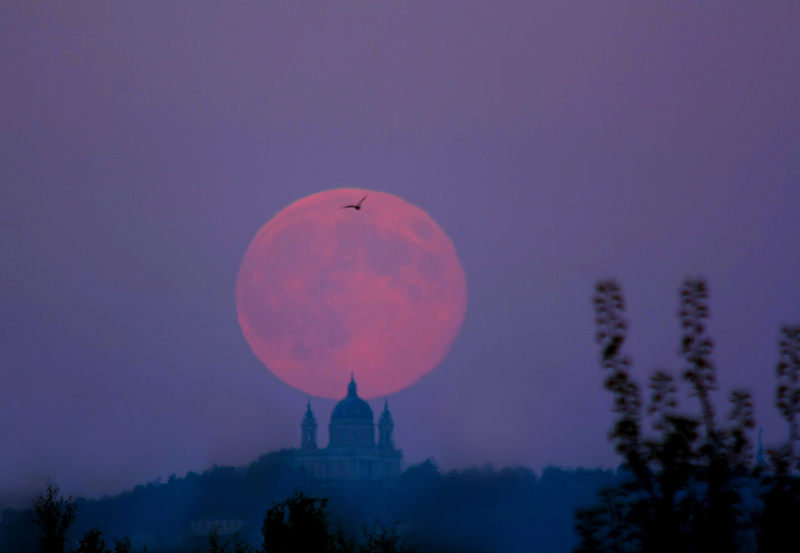 This full moon in Aries holds the potential for the less-wise fiery and often epic ‘tantrum yoga’ and hissy fits associated with Aries (if not tempered by Venusian wisdom and grace, as was the impetuous Mars in the lore of old). 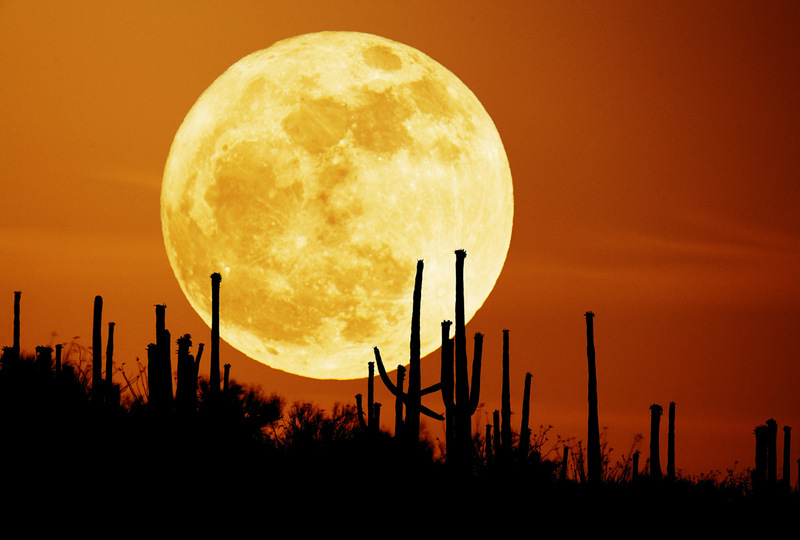 Super Harvest Moon-Rise, photo courtesy of NASA-Science. As always, we do have some choice in how we direct and express this potentially wild, fiery life-force, or Shakti-force. “There is an electric fire in human nature tending to purify – so that among these human creatures there is continually some birth of new heroism. Perhaps a new heroism of the wisened kind, born and tempered in The Hero’s Journey of those who’ve “answered the call” and entered the forest “they know not,” to “restore some part of the world’s lost heart” and then brave the epic challenge of The Return, to share that hard-won (and much-needed) Wisdom with the world that doesn’t yet realize it needs it badly. We can always hope, pray, and dream that into the world, at least. 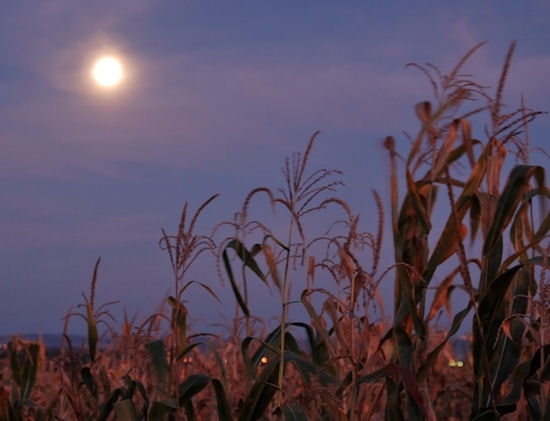 Harvest Super Full Moon, 2011, photo courtesy of APOD-NASA (deRosa). And to be alert for those who leap full-fledged and, in typical raw-Aries style, without fore-thought, into the Tantrum Yoga and Hissy Fit Zone (Psychic Vomit Alert!). Best to gestate and birth some new, fresh, wise, inspired, fiery-hearted (in the best of ways) heroism than to wreak havoc with the Hissy Fit thing. The When Pulled in All Directions, Center is Up post might offer some timely medicine for you. If it’s time for some Lantern-Holding, Believing Mirror, Vision-Stirring mentor-guidance for your own Transformation Journey, send along an email — info ‘at’ ivysea ‘dot’ com — to schedule a session (and check out the current specials, too). In the meanwhile, may you gracefully stay cool, be wise, and enjoy the Electric-Fire Juice, Honey Bunny. Catastrophobia is a term coined by Barbara Hand Clow (and it’s the name of her book as well). Yes, guilty of chucking a major tanty. The repairman came today actually. Thanks for this insight! Yeah, I try to channel my frustrations into creative stuff but as a fire sign the astrological influences can sometimes get the better of me. Usually the moon energy is a persistent but low grade rattle but that last one came out of nowhere like an unexpected slap and then it was gone. And I was like WTF. Thanks for your insight it was helpful!